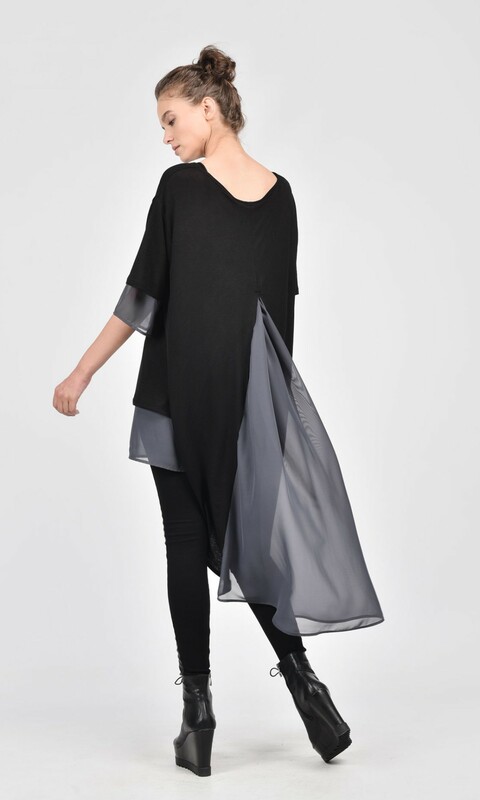 Off the shoulder high low Tencel and chiffon shirt, featuring transparent triangular chiffon piece at the back and double chiffon pleated sleeves and front. 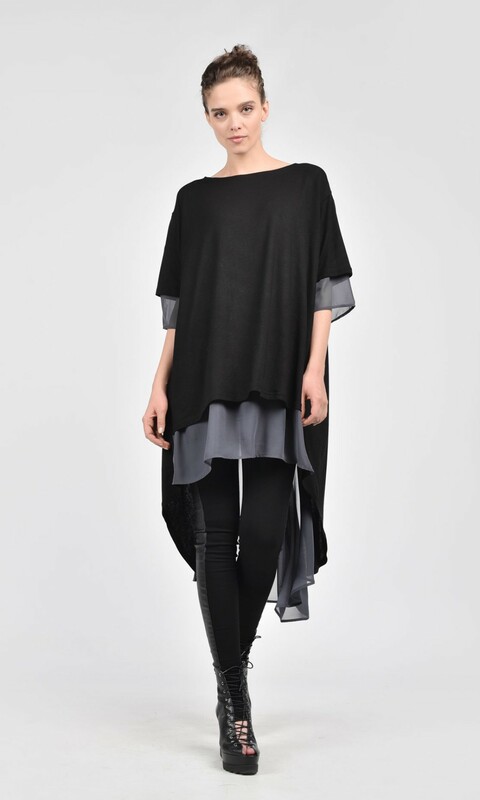 A beautiful boho garment, that can be worn as a dress or as a tunic over tight pants or leggings. A unique garment for a unique style. Extremely elegant and extravagant, this can be your choice a hot summer day.